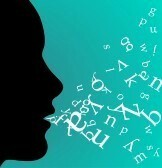 I have lectured on voice, dialect, and using foreign language within English-language texts. In many cases it is difficult to separate the three, especially in a novel liike NO SURRENDER SOLDIER (Merit Press, 2014) which is set on a Pacific island and all the characters are POC (non-white). However, for the sake of brevity I’m going to touch on just highlights of how to write authentic dialect and leave the issue of voice and using foreign languages for different articles and workshops. 1. Dialect differs within different regions of a country. A good source is the Linguistic Atlas of the United States by El Bagby Atwood. Although I have lived in Texas for decades, I’m not native born so when writing novels set in Texas I’ve used The Regional Vocabulary of Texas (University of Texas Press, 1980). I suggest you order from your library similar books for the region of your setting if you are not a native to that place. In the case of NO SURRENDER SOLDIER I had lived on Guam, Oahu and Japan for nearly a decade and have an ear for language. I wrote the narrative in the voice of the main character (protagonist) Kiko, a 15-year-old Chamorro boy on Guam. The antagonist, Isamu Seto, is a Japanese soldier who hid on Guam for 28 years instead of surrendering at the end of WWII. When writing Seto’s voice I didn’t try to emulate an authentic Japanese-speaker so much as write a poetic, haunting voice, which is a different topic altogether. 2. When the narrative voice is that of the main character, don’t make the narrative dialect heavy. Save the heavier dialect for dialogue or interior monologue. 3. Spell everything correctly; don’t even drop final g’s. (There are exceptions, which I will show later with a “th” sound. However, nearly every dialect in the US drops “g” in “ing” when speaking casually so you are showing nothing as to region in that case.) Steve Parlato , author of THE NAMESAKE (Merit Press, 2013), wrote an excellent article about writing dialect Uncommon YA (9/3/14) so read that article and consider this one a companion piece. 4. Use contractions only when they are widely accepted. Often contractions are not used in formal usage or foreign languages. NO SURRENDER SOLDIER (P. 59) Darkness shrouded Seto’s hiding place. This burial mound he called home. No matter which way he turned, side to side, front to back, he could not rest upon his mat. It itched. He scratched. 6. Slang dates a story; use as little as possible. Even though NO SURRENDER SOLDIER is historical I didn’t use an excessive amount of slang. What I did use, such as bro, I used consistently, and to show the closeness in relationship between Kiko and Tomas. One other word I used (example in Tip #2) was chick, meaning a young woman. However, this word reflecting a male attitude in 1972, when the story takes place, is germane to the subplot theme. 7. Dialect changes from one time period to another. Sprinkle old-time expressions through dialogue, such as chick. Warning, make sure the expression would have been used at that time period. The Oxford dictionary is one source that tells the origin of words and when they came into existence. For example, do not use the word “babysitting” in a novel set prior to the early 1950s. 8. Don’t overdo dialect. Don’t make your characters sound ridiculous. Examples: Linguistically, Chamorro-speakers don’t pronounce the “h” in “th” words. So I made a stylistic decision to only drop the “h” in dialogue only—not narrative—and only select “th” words. An example of where I used the missing “h” in Kiko’s dialogue but not in his narrative. (P. 28) “Why do I have to stay home? I didn’t do anyt’ing.” I slid my feet in my zoris, determined to go to Tumon with my parents. I was hoping I would see Daphne there. 11. Study the masters. In revisions I was struggling with how heavy to write my dialect in voice and dialogue. I had the privilege of spending several hours sitting beside Richard Peck at dinner right after he won the Newbery. I asked his advice on dialect and he told me to read Hawaiian-setting books by Graham Salisbury. It was the perfect advice. I could see through the text of a master where Graham had made linguistic decisions in writing pidgin English, and used this to guide me in revisions of NO SURRENDER SOLDIER.